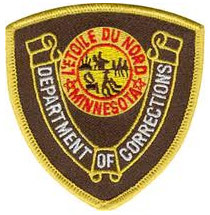 Having someone you care about incarcerated in the Minnesota Department of Corrections can be a difficult ordeal. Just figuring out many of the rules and regulations, that the facility has can be difficult, like what hours for visitation are, the mailing address for inmates, how you can send money and talk on the phone. The following list of prisons contain links that will bring you to a page that answer many of these common questions you will have. We also give our users access to online inmate search databases that let you get the inmate's ID number and other important information you will want to know. While we do our best to always keep our visiting hours up to date, we ask that any prospective visitors call the institution prior to their visit to verify the hours have not changed. Visiting hours at institutions can change often and regularly, so if you notice we have the incorrect hours for any of our facilities please let us know by leaving a message in the comments section at the bottom of the facilities page.and we will quickly update it.